Vedic astrology has a unique extension that is well known as Lal Kitab. Written down and stored as a collection of 5 books, during the term of 1939-1952, is called Lal Kitab. It was written in ancient Urdu language and has revolutionized the existing style of horoscope analysis by creating a benchmark in the history of astrology. It provided many easy to do remedies which are very economical for every person (Lal Kitab Upay in Hindi). There is not any surety about the authors of the book; however, based on our findings, we can say that this collection of books was written by Pt. Roop Chand Joshi. Classical astrology has never covered the different dimensions of human life; whereas, Lal Kitab provided a clear picture of every aspect of human life. Very new in comparison to classical astrology, it provides information about the modern lifestyle and daily regime that were not found in classical astrology. Its arena expands from Palmistry to Vastu & phrenology. Due to its huge expansion, it is counted along with Hindu Samhitas like Brihat Samhita and Narad Samhita. 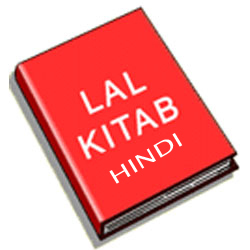 The remedies/upay given in Lal Kitab provides fruitful results and are very easy to follow. These remedies easily fits in every person's budget. In comparison to the Mantra, Yajna, Havana, Japa etc., Lal Kitab remedies/ upay generate very quick results with unbelievable effects. The remedies mentioned in Lal Kitab include actions like installing something at home or helping the poor with something or feeding animals with something and much more. The remedies mentioned in it should be followed properly, otherwise they will have the reverse effects. Hence, be very careful if you are taking the help of Lal Kitab. It is advisable to immediately stop following the remedies/ upay of Lal Kitab, if some negative effects are observed. The language used in Lal Kitab is very peculiar and is not easily understandable by everyone. The explanation behind the Farmaans (couplets of Lal Kitab) and the remedies/upay given there are not very common and difficult to decode. Even astrologers having a solid knowledge of this field have failed to understand this book. Due to this, many fake astrologers take the advantage of misguiding the people in the name of Lal Kitab remedies/upay. There are still many realms of Lal Kitab that are still to be decoded. Discoveries are still going on to reveal all the secrets hidden in Lal Kitab. If you are interested in getting help from Lal Kitab remedies than you may go through our Lal Kitab Horoscope 2016 section and get benefitted.